HIAWASSEE, Ga. – Towns County Civic Center was filled with dozens of citizens interested in taking a deeper look at “Islam, Jihad, and Sharia Law” Thursday, March 29. 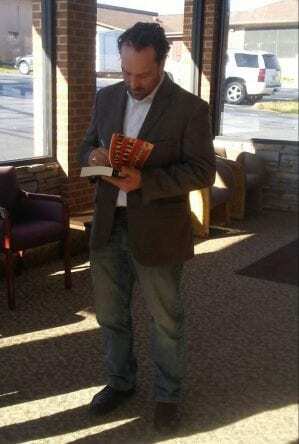 Towns County Republican Party, in cooperation with Towns-Union County Tea Party, hosted a presentation led by Chris Gaubatz, a renowed expert on the subject. Gaubatz spent a decade immersed in the matter, serving undercover through the Council on American–Islamic Relations (CAIR), later testifying before the U.S. Senate. The security consultant led an undercover operation in the United States, posing as a Muslim and infiltrating the Muslim community. Gaubatz gained access to the Muslim Brotherhood and Hamas-backed organization leadership meetings, preserving 12,000 pages of evidence and 300 hours of audio-video recordings from CAIR, exposing fraud, sedition, and terrorism. Islamic law, also known as Sharia, is derived from the the teachings of Muhammad, an ancient prophet of Islam. The lessons are dictated within the Islamic holy book, the Qu’ran. Complete submission to the will of Allah, an Arabic word for God, is the fundamental tenet of Islam. Jihad is the law in action. While supporters in defense of Jihad claim that the term simply translates to “internal struggle,” Gaubatz defined the meaning as a war waged against the enemies of Islam. 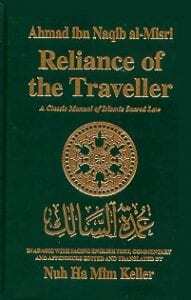 Gaubatz cited verses from an authoritative book on Islamic law – ‘Reliance of the Traveller’ – which includes orders to dislocate non-believers from their fate, additionally striking terror into the hearts of enemies. Dying a martyr is the highest form of worship under the confines of Sharia law. The remark was met with applause. Gaubatz stressed the importance of citizen involvement and focused organization within conservative groups, advising attention toward local politics. The speaker emphasised that an instilled fear of being branded Islamophobic limits open, honest discussion on the subject, both privately and from pulpits. Gaubatz recommended studying literature written by those within the left-wing in order to understand their mission, rather than solely researching through oppositional-minded authors. Several citizens posed questions for Gaubatz, ranging from the “no-go zones” in Michigan to the mass migration of Muslim populations into European countries. Gaubatz predicted Belgium to become the first Islamic State. Towns County Sheriff Chris Clinton introduced Gaubatz at the start of the presentation. Towns County Commissioner Cliff Bradshaw attended the event. Gaubatz made a second appearance the following morning, March 29, addressing the Mountain Movers and Shakers at Sundance Grill in Hiawassee.